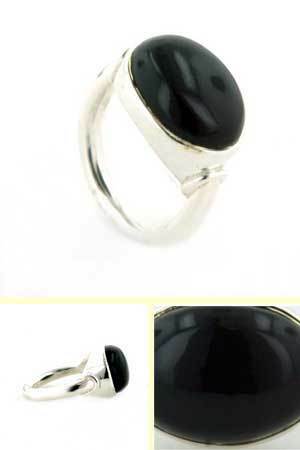 Large oval black onyx gemstone ring. 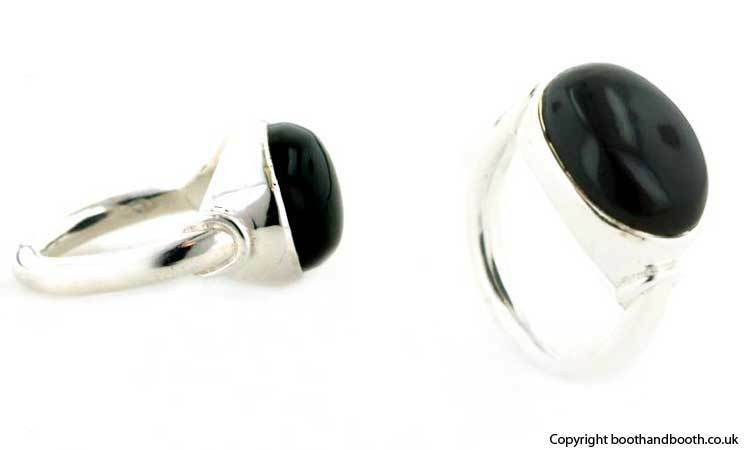 This black onyx ring features a smooth black onyx stone set into a plain sterling silver band. 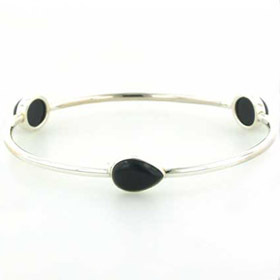 Lovely smooth lines make this black onyx ring elegantly plain. In timeless black and silver, this ring will take you anywhere, anytime. 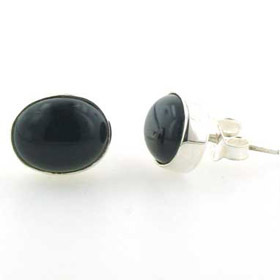 See our black onyx bracelets and black onyx earrings to make a jewellery set. Choose your size for this black onyx ring from the drop down menu. We give the UK sizes and the equivalent USA sizes.